Terrain: steep limestone cliffs along coast, central plateau. Climate: tropical; modified by southeast trade winds (monthly temp 23-37°C. Geography: one of world's largest raised coral islands. Economy: Until the last three years Niue`s economy has been based on agriculture generated produce. With the establishment of new ventures, Niue is now exporting Fish products caught from within the EEZ, Noni Juice, Vanilla and Niue Honey. 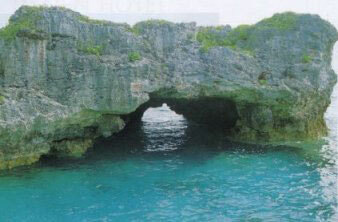 The tourism industry also plays a vital part in Niue`s economy. Niue suffered a devastating cyclone in January 2004 No longer producing and exporting passion fruit, lime oil, and coconut cream and co crops such as taro are being exported. 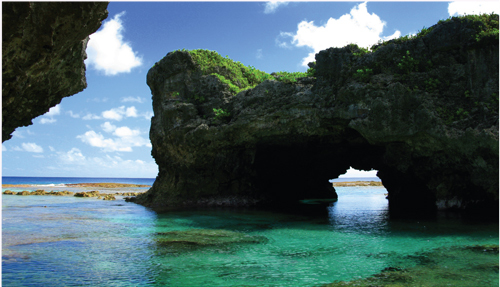 Niue does not have an extensive or substantive history in aquaculture development and research, and currently has no aquaculture activities in operation. With respect to marine aquaculture this is due mainly to the geography of the island with a predominantly exposed coastline, narrow discontinuous fringing reefs, and no lagoons. With respect to freshwater aquaculture this has been as a result of soil characteristics and scarcity, as well as freshwater related constraints. Sporadic efforts in aquaculture however date back as far as the late 1960s and early 1970s when small scale trials to farm Tilapia, thought to be for food and live bait, were undertaken. 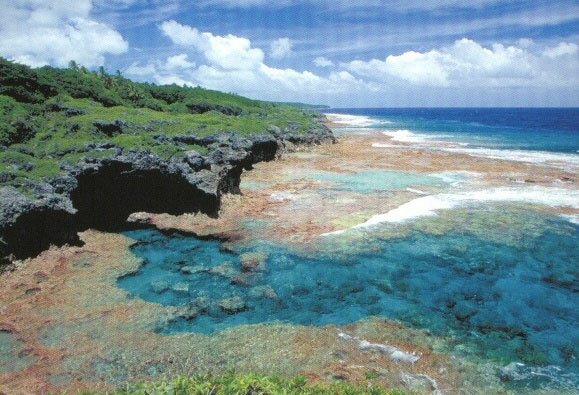 The majority of research into the feasibility of aquaculture in Niue has taken place more recently in the early 1990s. Interests to date have focused on marine and freshwater aquaculture, looking at the feasibility of both hatchery operations and nursery and grow out areas and facilities. No production systems apart from two concrete ponds [approximately 5m (l) x 4m (w) x 1m (d)] to rear Telapia have been built and operated in Niue. Species of particular interest to Niue are giant clams (Tridacna maxima and Tridacna squamosa), Trochus (Trochus niloticus), and more recently green snail. Freshwater species of interest have included freshwater crayfish and Tilapia. Trochus were introduced to Niue in August 1992 in an attempt to establish a commercially-exploitable population of this species. A total of 223 shells from Fiji were placed on reefs at Hakapu , Namakulu and Tamakautoga . In August 1996 another 311 of hatchery reared animals from Tonga (progeny of an earlier transplant from Fiji) were placed on reefs at Namakulu and Tamakautoga. Despite two transplants, there are no signs of successful establishment of these species and no benefits have accrued to date. The importation of larval stages and or juveniles has also been looked at. While there is no aquaculture production on Niue at present, there remains an interest to develop aquaculture hopefully through advancing technology and new aquaculture techniques. Interests to date in marine aquaculture have and still remain primarily focused on the culturing of marine invertebrate species for reef restocking and enhancement of local heavily exploited species, as well as food and income generating opportunities. More recent interests are looking at the potential of aquaculture as alternatives to mitigate against restrictions on access to reef resources under Community-based management systems. - Identify projects that will provide a possible means of income generation and natural resource enhancement. - The eastern coast of the island is too exposed to prevailing wind conditions making it unsuitable for the establishment of hatcheries using conventional pump and pipeline systems. - The Western side coastal low lands (8-25m above mean sea level) are more suitable but have associated risks with respect to cyclones and related wave action. - Costs of establishing projects may make it unfeasible and uneconomical in the long run. While there is no culturing on Niue at present, species of particular interest to Niue, have traditionally been and remain, giant clams (Tridacna maxima and Tridacna squamosa), Trochus (Trochus niloticus), and more recently green snail. Freshwater species of interest have included freshwater crayfish and Tilapia. More recently, there has been interest expressed in once again researching the feasibility of establishing prawn farms on the island looking at alternative means of rearing them. 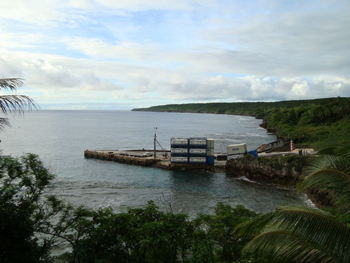 There are currently no aquaculture practices or culturing systems in place on Niue. Research to date has focused on marine and freshwater aquaculture, looking at the feasibility of both hatchery operations, nursery and grow out facilities. The translocation of hatchery reared animals to Niue from neighbouring countries is an aquaculture related activity that is being pursued. There are no farming operations in Niue at present. It is only possible to provide a general overview of research into potential sites for aquaculture and investigation into natural resources available for use in this process. In 1993 and 1994 The Forum Fisheries Agency (FFA) and the Coastal Aquaculture Centre of ICLARM in Honiara assisted Niue in assessing the potential for developing aquaculture by way of a hatchery for farming clams and potentially other molluscs, the importation of larvae and juvenile animals, as well as development of ponds for farming freshwater crayfish. With respect to rearing of giant clams it was generally found that while technically feasible, the rearing of giant clams on Niue, despite good infrastructure, was problematic due to the topography of the islands coastal areas and interacting ocean processes. The eastern coast of the island, exposed to prevailing wind conditions was found to be unsuitable for the establishment of hatcheries using conventional pump and pipeline systems, though some coastal ledges have potential for small natural grow out areas. The Western side coastal low lands (8-25m above mean sea level) were more suitable but had associated risks with respect to cyclones and related wave action. The lack of suitable ocean nursery areas was identified as a considerable constraint. With respect to farming of freshwater crayfish it was generally found that the local soil characteristics, shallow cover and scarcity across the island, as well as limited freshwater availability through constraints associated with pumping from deep underground, were the main constraining factors to crayfish farming using ponds made from natural resources. As a result of these findings, along with other factors, the report concluded that inland aquaculture on Niue, using natural resources, is technically unfeasible. In addition they concluded that other alternatives for pond construction, e.g concrete, would be economically prohibitive.